MSNBC interviewed us for a story on the chronic Taylor Energy oil leak in the Gulf. Associated Press interviewed us for an in-depth story and video featuring our work monitoring and documenting chronic oil pollution in the Gulf of Mexico associated with offshore oil and gas development; covered in major media outlets including Seattle Times, Houston Chronicle, Washington Post. Followup action resulted almost immediately as Senator Nelson demands more information from federal agencies. North Dakota regulators are finally cracking down on excessive, wasteful flaring of natural gas from oil wells. We’ve worked to provide daylight on this issue in a variety of ways, including our global flaring map and dataset. 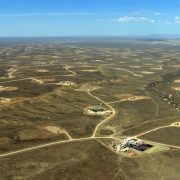 Our testimony, meetings with regulators, and public critiques regarding the public disclosure of chemicals used in fracking are having a positive effect, as some significant improvements were recently announced. We worked with Appalachian Voices to create an interactive map showing communities at risk from continued mountaintop removal mining. We detected a vessel fishing illegally in Palau’s waters and provided real-time, hot-pursuit support that helped Palau intercept the culprits in the nick of time, far out at sea. NPR covered the story. Yale360 wrote about our work on the Global Fishing Watch project with Oceana and Google, analyzing big data to map fishing activity throughout the ocean and illustrate how well – or poorly – marine protected areas are being managed. Fast Company profiled our work, highlighting the “watchdog” role that satellite image monitoring can play in encouraging better performance by government and industry. 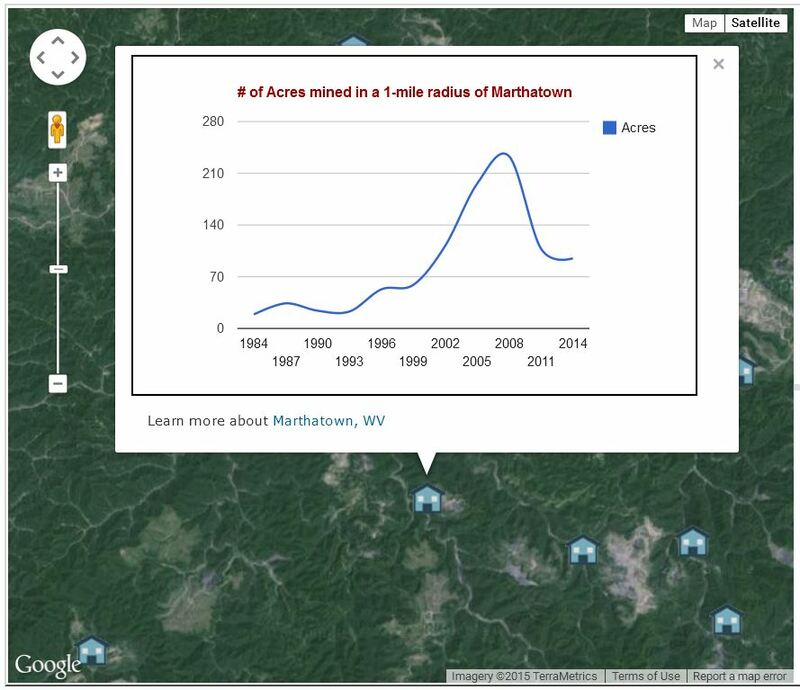 This article in the Pittsburgh Post-Gazette describes our FrackFinder program of crowdsourcing to engage citizen-scientists in analyzing imagery and producing useful data. We gave a presentation on our vessel-tracking work at a meeting attended by dozens of representatives from federal government agencies. We participated in a roundtable discussion at the Center for a New American Security focused on developing information-sharing platforms for large areas of interest to multiple nations. On May 19 we’ll give a presentation at a workshop hosted by National Geographic, NOAA and the State Department on monitoring and enforcement strategies for marine protected areas. In June we’ll be at the Economist World Ocean Summit in Portugal to present progress on Global Fishing Watch, including some research results, with our Oceana and Google partners. 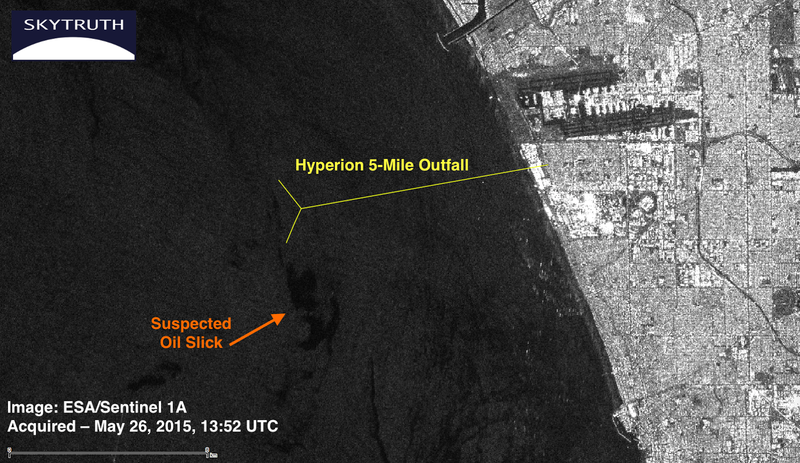 Just a few days ago we wrote about a slick more than 16 miles long on a Landsat-8 satellite image of the Taylor Energy chronic leak site in the Gulf of Mexico. We’ve also pointed out, many times, that the official spill reports that Taylor Energy is required to submit to the National Response Center typically describe a much smaller slick than what we have repeatedly observed on satellite images and from independent aerial overflights. Well, guess what? The latest weekly dump of NRC reports was just made available by the Coast Guard, and our faithful little report-scraping robot just pushed them out through our SkyTruth Alerts incident mapping and email-alerting system. And once again, what Taylor reported on May 7th doesn’t jive with what we observed in the Gulf that same day. 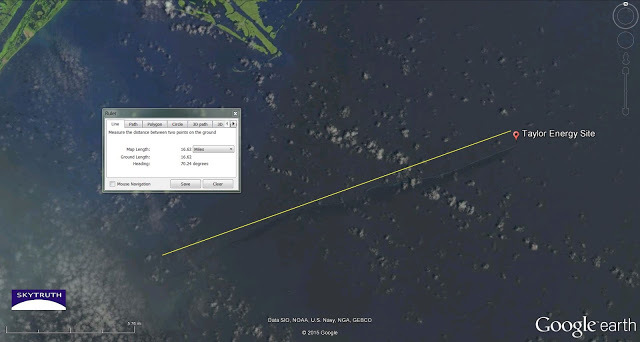 Taylor reported a slick 9.7 miles long and half a mile wide, covering a total area of 4.85 square miles (12.56 sq km), based on an aerial overflight that took place at 9:15am local time on May 7. They estimate the total volume of oil in this slick amounts to 14.6 gallons. We observed a slick more than 16 miles long and covering a total area of 5.95 square miles (15.4 sq km) on a Landsat-8 satellite image that was taken just two hours after Taylor’s overflight, at 11:25am. Based on a conservative thickness estimate of 1 micron for the slick, we calculate the slick holds 4,066 gallons of oil. 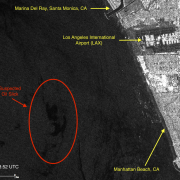 Satellite image analysts with the federal government, at NOAA’s National Environmental Satellite, Data and Information Services division (NESDIS), have also been using satellite images to monitor the Gulf. 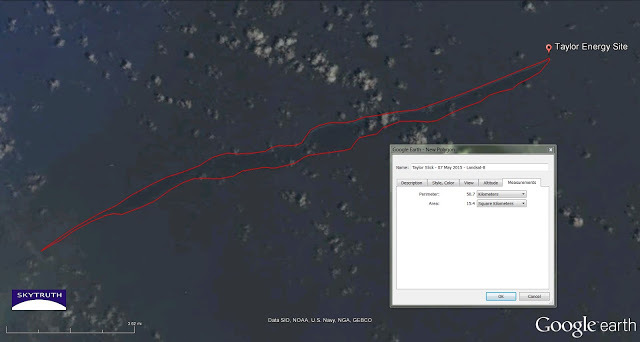 They reported to the NRC a slick over 17 miles long, but didn’t give an area or volume estimate. Based on their description of the slick, we’re certain they were looking at the same Landsat-8 image that we analyzed. Our measurements of the slick length are comparable. So, SkyTruth and government analysts documented a slick almost twice as long as the slick Taylor reported. And our conservatively estimated volume is 278 times greater than Taylor’s report. Even if we take Taylor’s slick-length report at face value, applying a 1 micron thickness value to a slick covering 4.85 square miles yields a volume estimate of 3,316 gallons. To take that down to their total reported volume of only 14.6 gallons, you’d have to assume the oil only covered 0.4% of the 4.85 square mile area they reported as being an oil slick observable from the air. Seems unrealistic, doesn’t it? Gas drilling and fracking in the Jonah Field on public lands in western Wyoming. Photo courtesy Bruce Gordon / EcoFlight. Disclosures submitted using the FracFocus 1.0 format (January, 2011 to May 31, 2013) will contain only header data. Disclosures submitted using the FracFocus 2.0 format (November 2012 to present) will contain both header and chemical data. NOTE: Between November, 2012 and May 31, 2013 disclosures in both 1.0 and 2.0 formats were submitted to the system. After May 31, 2013 only disclosures submitted in the 2.0 format were accepted. The database contains information exactly as reported to FracFocus, and only the data displayed on the disclosure PDF files. FracFocus does not alter or modify the submitted data in any way. Why did SkyTruth first raise this issue to the attention of the public and other NGOs in June 2012? 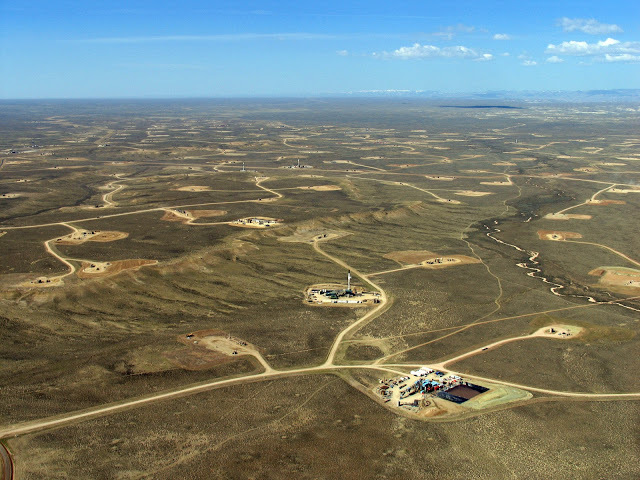 Why did we work to make it a high-profile element of the national debate about fracking through testimony to Congress, comments on federal rulemaking, and direct communication with high-level policymakers? Because without specific, complete and trustworthy data identifying the chemicals, and the exact time and place those chemicals are injected into wells for hydraulic fracturing, you can’t do the science to investigate and conclusively prove (or disprove) that air or water contamination, or public health problems, are being caused by modern drilling with high-volume hydraulic fracturing. And, in our opinion, without good science, you can’t make good policy. So this is a very positive change, but it’s only a first step. Now we hope FracFocus will quickly follow this up by addressing the other major problems that continue to hamper public use of the data, and thwart the intent of state and federal laws requiring public disclosure: poor data quality, the lack of curation of the data and chemical disclosure reports, and — worst of all — the indiscriminate, unjustified use of “trade-secret exemption” that allows the oil and gas industry to arbitrarily hide the identities of fracking chemicals from an increasingly concerned public. It shouldn’t take another 3 years to fix those problems. Let’s get it done. The Associated Press recently ran an in-depth article and video on the chronic Taylor Energy oil leak in the Gulf, just a few miles of the top of the Mississippi Delta. We’ve heard the company claims they plugged all of the leaking wells on the seafloor at the site of their Hurricane Ivan-destroyed oil platform in 2011, and that any leaking oil since then is just “residual” oil oozing out of sediment on the seafloor. If that’s the case, it seems reasonable to expect the slick at that location to gradually get smaller, and ultimately disappear. But that’s not what we’re seeing on satellite imagery, and that’s not what is being reported on a near-daily basis to the Coast Guard’s National Response Center. This Landsat-8 satellite image taken yesterday (May 7, 2015) shows a slick emanating from the site and stretching to the west for at least 16 miles. 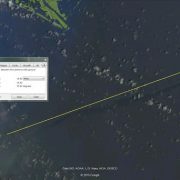 Most of the slick appears dark in the image, indicating a thin sheen of oil; but for many miles it’s bounded along its northern edge by a distinct bright line that suggests much thicker, emulsified oil, like the “mousse” observed and sampled by Florida State University researchers last summer. Which makes us ask: have all of the wells actually been plugged, or was the work stopped before the job was completed? 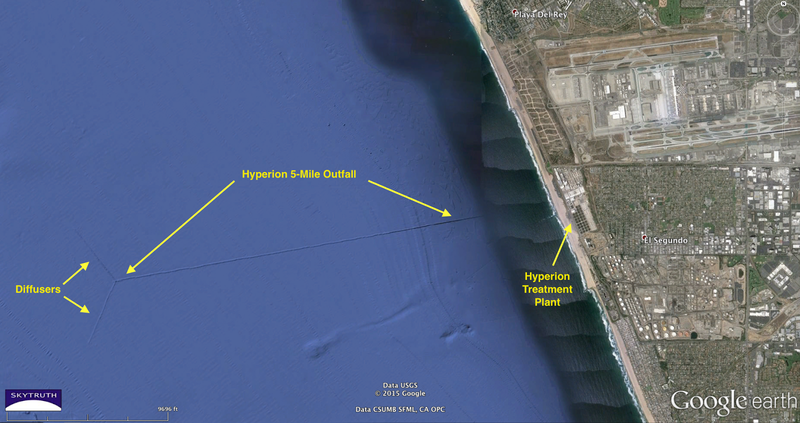 Detail from Landsat-8 satellite image showing oil slick at Taylor Energy site, a dark streak below and parallel to the thin yellow measurement line. Former oil platform location is marked by red pushpin. Tip of Mississippi Delta at upper left.Scattered small clouds (white spots) and cloud shadows appear throughout the image. How much oil is in this slick? It covers an area of 15.4 square kilometers. Assuming this slick was mostly a very thin “rainbow sheen” as has been repeatedly documented, a conservative estimate for the thickness is 1 micron (one-millionth of a meter). The bright line of thicker, emulsified oil is many times thicker than that. But to be conservative let’s assume that, on average, this slick is only 1 micron thick. That amounts to 264 gallons per square kilometer. Measurement showing Taylor slick extended 15.4 square kilometers on May 7, 2015. So yesterday, there was a slick holding at least 4,066 gallons of oil from the Taylor leak. Taylor has claimed the average daily leak rate is about 4 gallons. But thinly spread oil out in the Gulf can only survive for a matter of days before it’s broken down by evaporation, dissolution, dispersion, photolysis and biodegradation. https://skytruth.org/wp-content/uploads/2015/05/SkyTruth-Taylor-L8-07may2015.jpg 342 640 John Amos /wp-content/uploads/2016/08/test_logo.png John Amos2015-05-08 15:18:002019-02-06 10:53:42Taylor Energy Chronic Oil Leak in Gulf - Not Fixed?